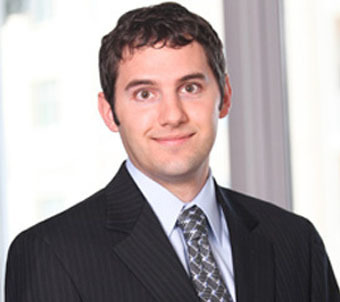 Richard Kamprath is an associate in the Dallas office of McKool Smith. His practice focuses on intellectual property and commercial litigation. Prior to joining the firm, Richard clerked for the Honorable Jorge Solis in the U.S. District Court for the Northern District of Texas, where he contributed to a variety of civil and criminal matters. While attending law school, he worked at the Dallas County Public Defender's Office; the Texas Attorney General's Office; and a civil litigation firm where he gained extensive experience in motion practice, trial, and appellate work. Prior to attending law school, Richard worked as an electrical engineer for an oilfield services company in its research and development facility, where he designed circuits for both Wireline and LWD downhole tools. During his graduate work at Texas A&M, Richard studied analog and mixed-signal circuit design and wrote his thesis on impedance matching techniques for Ethernet communication systems. He also taught labs in microelectronics and digital circuit design. Rovi/TiVo v. Comcast, et al. (SDNY, ITC) Represented Rovi/TiVo in a patent infringement dispute against Comcast, Arris, and Technicolor involving interactive program guides and related functionality. Nokia v. Apple. (EDTX, ITC) Represented Nokia in a global licensing dispute against Apple involving H.264 video compression technology and LTE technology. Ericsson v. Apple. (EDTX, NDCA, ITC, PTAB) Represented Ericsson in a global, portfolio-wide, FRAND licensing dispute against Apple involving LTE technology. ParkerVision Inc. v. Qualcomm Inc., et al. (MDFL) Represented ParkerVision in a patent infringement lawsuit against Qualcomm, Samsung, and HTC involving patents related to radio-frequency transmitter technology, digital signal processing and baseband technology, and protocol conversion technology for use in wireless telecommunications devices. Odyssey Wireless v. Apple, et al. (EDNC) Represented Odyssey Wireless against Apple, Samsung, LG, and Motorola in a patent infringement lawsuit involving technology related to the LTE standard including frequency hopping and carrier aggregation. Summit 6 LLC v. Apple, et al. (NDTX) Represented Summit 6 in a patent infringement lawsuit against Apple, Twitter, HTC, LG, and Motorola involving digital content processing and uploading technology. Rockstar Consortium v. Samsung, et al. (EDTX, NDCA) Represented Rockstar in a patent infringement lawsuit against Samsung, ASUS, LG, HTC, Pantech, ZTE, and Google involving patents related to software and radio-frequency electromagnetic shielding technology for use in wireless telecommunications devices. ParkerVision Inc. v. Qualcomm Inc. (MDFL) Represented ParkerVision in a patent infringement lawsuit involving numerous patents related to direct conversion receiver technology for use in high-performance wireless telecommunications devices. Summit 6 LLC v. Research in Motion, et al. (NDTX) Represented Summit 6 in a patent infringement lawsuit against Research in Motion, Facebook, Samsung, Multiply, and Photobucket involving digital content processing and uploading technology. Ericsson v. Samsung. (ITC) Represented Ericsson in a Section 337 action against Samsung involving several patents coving the direct conversion receiver technology and carrier signal modulation techniques.